Grew up… in the wealthy Pewterschmidt family. Though Lois was raised to be a WASP, she’s certainly got a wild side to her. She’s left behind all of her old vices now that she’s got a family to look after. That means no more gambling, meth or compulsive stealing. Except for the occasional relapse. 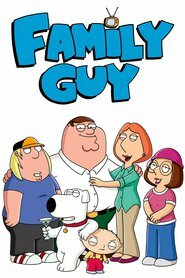 Living… in quaint Quahog, R.I. Lois has the perfect all-American family, if the “perfect family” includes a disturbed teenage daughter (Meg), a doltish teen son (Chris), a sociopathic infant (Stewie), and a fat, drunk, stupid husband (Peter) who constantly misbehaves. Oh, and she also lives with a talking dog named Brian, but he’s actually pretty normal. Challenge… staying sane while living with her insane family. Between her murderous young infant, dense husband, brainless older son, and mannish daughter, the only rational people in the Griffin household are Lois and the talking dog, Brian. Personality… sweet and motherly. Lois is, in many ways, a great mom, though you wouldn’t know it if you heard her old nickname: “Loose Lois.” She definitely has a few skeletons in her closet, but that still qualifies her as pretty normal in a household in which her son has a demented monkey actually living in his closet. Lois Griffin's popularity ranking on CharacTour is #1878 out of 5,000+ characters. See our top-ranked characters and read their profiles.